But only so you can see into the future! The future of 3D printing is going to be featured in a new exhibition at the Science Museum in London. Starting on October 9 for nine months, the exhibition aims to show us just how quickly the burgeoning industry is evolving and how it will impact on society. 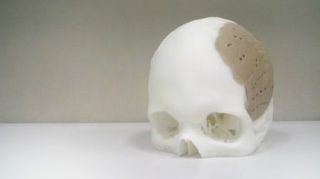 It will focus on everything from replacement teeth, tailored drugs, replacement parts for transport and some of the cool art that is using 3D printers.